It is pleasure to read your blogs and learn new things in interesting way about fundamental analysis. I eagerly wait for your blogs. I would like to point out a small typo or error in NESCO’s case. Should not non-current investments be 3 lacs rather than 3 crore as given in NESCO balance sheet? Sir, too good post. Absolutely amazing! Excellent post…But as I understand its only Berkshire Hathway whose is able to successfully invest floats with high rates of return over the long term.The rest of companies are not doing much with their float except investing in short term debt. Are there any companies who are able to produce high returns on their float? This is one of the best threads on floats in Indian context. Thanks professor. Please keep writing !! What is your opinion on Vacation Ownership Companies especially Mahindra Holidays who collect membership fees in advance and this forms a sizable float for addition of new rooms to the existing ones without capex from the company (PPFAS presentation on MHRIL). Vijay, that’s an excellent example of a business model that works on float. As of 31 March 2012, the company had advances from customers totalling to Rs 1,069 cr, which on a total balance sheet size of Rs 1,981 cr, translates into 53% of assets. The float keeps the company debt-free. You’ll also find floats in other real-estate companies especially those in residential space where customers deposits finance the projects e.g. look at Sunteck Realty, Oberoi Realty, and Ashiana Housing. These companies are either debt-free, or carry very low levels of debt, because they have floats. Thanks for your kind reply. Would like to make a remark regarding real estate companies working on Customer advances as float. The escalation and rise in the sales price will not be captured by the company. But then working capital portion can taken be care by booking only a certain no. of flats in advance in the present scenario of low sales and high interest costs. I took another look at Mahindra Holidays and found that while the company had, on 31 March 2012, advances from customers totalling Rs 1,069 cr., it also had, on the same date, receivables of Rs 518 cr. Moreover, the company has securitized receivables worth Rs 267 cr, where the banks who had bought the receivables, have recourse to the MHRIL in case of defaults – see contingent liabilities schedule. If you were to mentally cancel the securitization and put them back on the balance sheet (which is the proper thing to do for evaluating the fundamentals of this business), then receivables become a huge Rs 785 cr. This kind of a situation – high receivables and high customer advances – is rather unique, but it’s hardly as attractive as situations where customer advances and/or trade credit is far higher than receivables and inventories – resulting in large amounts of negative working capital which, in effect, finances investment in fixed assets. Keep that in mind while evaluating MHRIL or other businesses having similar attributes. You are right about businesses being attractive where advances are much higher than receivables. A truly well written post. I just had one query. These businesses agreed have the ability to generate float through the presence of a moat. But over time they accumulate a lot of cash through the presence of a moat. Like even in the case of Nesco, they have 217cr of cash, i believe some of it will go into IT building IV and III construction, but what after that, i mean the cash cannot be deployed in businesses with similar moat/characteristics once the 70acre space is fully used up, the business as it appears lacks scalability beyond the 70acre parcel. Would you be concerned about the future deployment of cash generated from strong moats? Should the investor then believe that once the high ROIC projects with the company are over, the company will either resort to high dividend, share buyback or leverage re-capitalization.How would you as an investor evaluate this? You’re right to worry about capital allocation decisions of a firm. I would not automatically assume that once the firm has used its single asset to its fullest potential, and all future cash flow will be paid out or used for stock buybacks etc. Thank You for practically explaining the importance of floats! The article contained a wealth of information illustated with apt examples. In my view, Gujarat Gas would also qualify as an example. It receives deposits from customers which are refundable only on termination of the connection, implying that the deposits are a float. This coupled with the high switching costs (infrastructure) is a source of an enduring moat. I would appreciate your views on this. Once again, kudos to you for this fantastic post! Thanks Mayank. You’re right about Gujarat Gas. As of end December 2012, the company had deposits of Rs 252 cr from customers. GG also has trade credit of Rs 210 cr. With negligible inventories and receivables of only Rs 183 cr, the company operates with a negative working capital. Thanks for sharing your views on ‘floats’. Very well articulated and insightful thoughts on the subject. As mentioned by you that the floats generated through vendors and a smaller base of customers are less endurable as compared to security deposit for gas connections, traveller’s cheque or may be insurance floats(if the risks are well managed as Ajit Jain does) . The good thing about such floats is that you may end up paying nothing to the customer and have access to free capital for perpetuity. I would like to ask that what is the average duration for which floats of a company like HUL last during a financial year. Like insurance floats, can the float generated through one customer/vendor be adjusted by new vendors/customers in the case of HUL and NESCO ? Can they afford to invest such floats in ‘equities’ or they can only be deployed in short-term fixed income securities ? If Buffett would have owned HUL how he would have utilized the float generated by the company ? Focus on the words “revolving fund”. What does that mean? It means that one should focus on overall balance in the account and what not various accountholders are doing. Take, for instance non-interest bearing current account balances with banks. Even if some customers withdraw their funds from such accounts, then if other customers deposit funds in such accounts, then the overall account balance will not go down. If you are virtually sure that the account balance representing float in any business model will not go down, and if it’s costless, then it becomes the functional equivalent of a perpetual, zero coupon bond, isn’t it? If you look at HUL, or other similar companies, you’ll find that they operate with negative working capital year after year. And as their businesses have grown, the size of floats have grown as well. So, even though the “sundry creditors” figure on the liability side of the balance sheets of such companies may be classified as a “current liability” for all practical purposes, is it not a non-interest bearing perpetual liability? If so, then its true value is far lower than its book value. The surer you are about the permanency of your float, the more confident you should be about investing the float funds in equities (assuming, of course, you have opportunities) because then you won’t have an asset-liability mismatch. Funds raised from a long-term liability would have been invested in long-term assets. 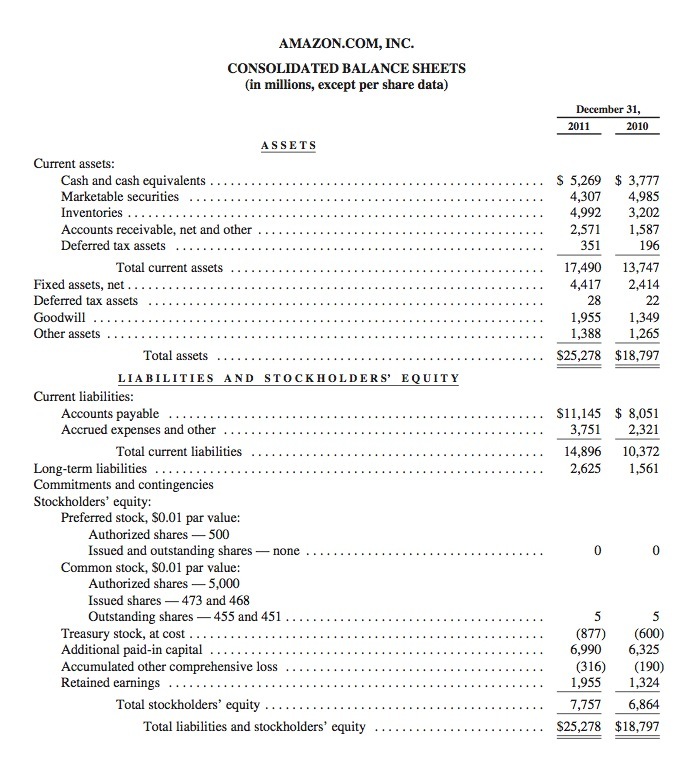 Buffett has been so confident about the permanency of float on BRK’s balance sheet, that he has invested the float funds, not just in equities, but also in totally illiquid operating businesses. So, in my view, it all depends on how sure you are about the durability of the float in your possession. You are a marvel – truly, many of us are immensely benefited by your efforts in sharing your thoughts and ideas. Knowledge only grows by sharing. While your point about the importance and benefits of floats is well made by the HUL example, there is a slight wrinkle when you look into it in a little more detail. You have classified the entire amount of non current and current liabilities (Rs 1,006 cr + Rs 6,702 cr = Rs 7,708 cr) as float, which by definition is unemcumbered and therefore can provide leverage for free. But out of this Rs 7,708 cr, Other Long Term Liabilities (Rs 332 cr), Long Term Provisions (Rs 674 cr), Other Current Liabilities (Rs 561 cr) and Short Term Provisions (Rs 1294 cr) – all these totalling to Rs 2,861 cr – are for employee related liabilties such as gratuity, pension, medical etc, provident fund, tax deducted at source, provision for dividend, taxes etc. So this amount of Rs 2,861 cr out of Rs 7,708 cr is neither trade credit nor advances from customers. This liability of Rs 2,861 cr is not derived from ‘Market Power’, and while increasing trade credit and advances from customers indicates more ‘Market Power’ and is beneficial to the business, the same cannot be said of increasing employee related liabilties such as pension, gratuity and unpaid dividends. One could go as far as to say that this Rs 2,861 cr of liability is more akin to equity or debt (invested capital in the business) than it is to trade credit/advances from customers (cost free float). So one would have to consider only Rs 7,708 cr – Rs 2,861 cr = Rs 4,847 cr as true float for HUL in FY12. The exact numbers I have used in the calculations above may be a bit off and approximated, but the point I make trying to make is that the float is not as large as it would seem at first glance (for instance, Rs 4,847 no longer covers the full current assets and fixed assets and thus HUL is not operating with negative net operating assets). I do not want to sound like I am nitpicking, and I really appreciate your posts in general and this post in particular. It was a very stimulating read. But while trying to make the task of finding moats objective (by putting things in a excel sheet), I went down this line of thought and in the spirit of sharing, wanted to seek your thoughts on the matter. Nirman, that’s a great comment. Thanks. You’re right about my classification of all liabilities, other than interest-bearing debt as float, which may or may not have a cost. 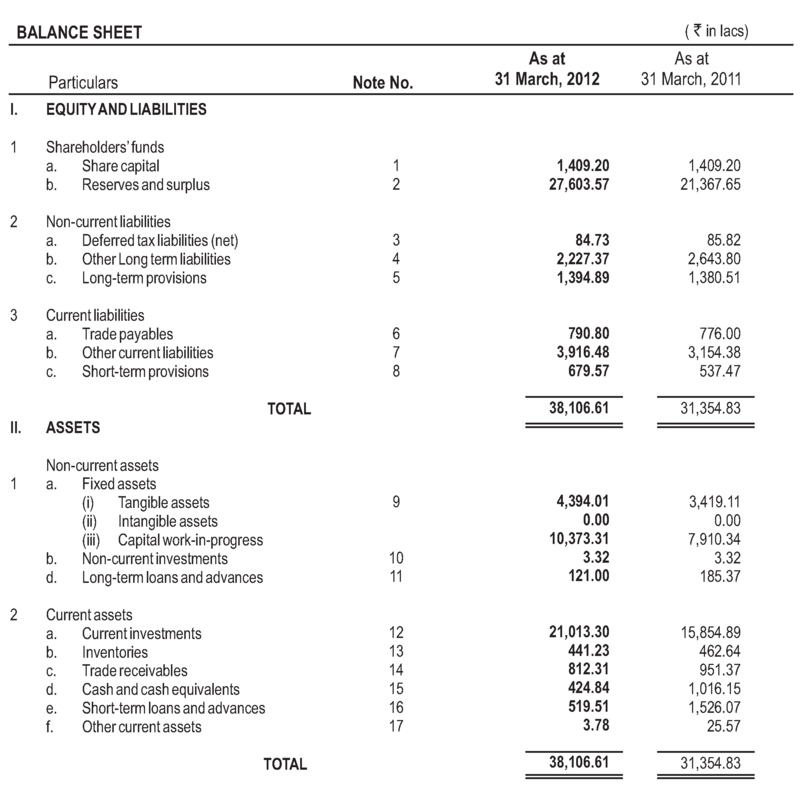 I think its important to visualise a balance sheet by treating current liabilities and provisions as a source of financing, just like bonds or debt. But while bonds or debt are valued on a balance sheet, by investors, in present value terms, operating liabilities aren’t. That treatment is wrong, if the operating liabilities are long-lived and have a zero or a low cost, which is the case in HUL. For a more detailed analysis of what I call as float and what Prof. Steven Penman of Univ of Columbia called as “operating liabilities,” see “Financial Statement Analysis of Leverage and How It Informs About Profitability and Price-to-Book Ratios,” by Doron Nissim & Steven H. Penman. My basic point in treating current liabilities as float is to show how in some business models (moats), these operating liabilities play a crucial role in leveraging return on assets to deliver an exceptional return on invested capital (which usually is only equity). This float may or may not have a cost. Even if it has a cost, in businesses with solid moats, where return on assets is already exceptional, the presence of low-cost operating liabilities can be an important source of value for stockholders because they help delivering a truly exceptional return on equity. But I take your point, that in the case of HUL, not all current liabilities are costless. I do maintain that even if they have a cost, the spread between the return on assets and that cost is quite large, and moreover that cost is less than that of alternate financing. This is similar to the Buffett’s idea when he said that depending on what he could do with the cash (he focuses on return on assets), he may even accept a float at a cost. So, Buffett is not averse to the idea of having an insurance float having a cost provided he can do something intelligent on the asset side (return on assets) and provided that cost is still less than the treasury bond yield. By the way , what’s great at amazon is its Return on capital employed. Kaveri seeds , what a company to own . Advances against sales of 110 crores , out of total asset 217.35. More than 50 % Advances against sales , what a float company enjoys and it is not because of temporary demand supply mismatch . Sir , can’t we say that company is having moat ? It is also growing fast. Top of that company does not have to pay tax since income from “sale of seeds” is consider as agriculture income which is tax free. This is dream company to own if there is no corporate governance issue and fraud . What is your view sir ? Thank you Prof. Bakshi for the link, reading references and clarifications. I was just reading Buffett’s 1977 Fortune article on inflation (How inflation swindles the equity investor – http://features.blogs.fortune.cnn.com/2011/06/12/warren-buffett-how-inflation-swindles-the-equity-investor-fortune-1977/). I get a similar feeling when reading what you write as I do when reading what Buffett writes – a feeling of awe for how well the author understands and simplifies issues to make them appear straight-forward and obvious in retrospect but most of the rest of us still need to be prodded to think along these lines. A relatively large spread between the long term cost of the liabilities and the sustainable return on the assets are symptomatic of a good business (and possibly of a moat). If a and b average high rates (>20%) consistently over multiple years, and c is above 2, then you might have a very interesting business to investigate and understand at your hands. On a slightly different note, I should probably also admit that I have ridden your coattails (wtih Piramal for instance) in the past and from purely selfish reasons, would like to urge you to please keep up this endeavour of posting your current thinking and cumulative learning on a regular basis. Thanks for all the stimulation for long, wonderful hours of introspection. Excellent thesis Sir. I have two questions for you Sir. 1) As you have written that the attractiveness of a float depends on two factors – Duration and Cost. Well as far estimating the duration of a float is concerned, I believe it is more a matter of judgment – we have to judge how powerful is the company’s “market power” and moat. But coming to the Cost aspect, how do you exactly calculate the cost of moat. In case of Berkshire, Buffett wrote in his letter that as far as Berkshire earns an underwriting profits i.e. it pays less claims and expenses than the premiums it receives, then the float may be considered as cost-free or rather they are being paid for holding the float. Similarly, in case of CASA deposits of banks, the cost of float can be determined by the rate of interest it pays on deposits (though banks pay nothing on current accounts – and it explains the moat enjoyed by HDFC Bank). But how do we calculate the cost for other kinds of floats – like trade credits, security deposits, customer advances, franchisee deposits etc. 2) Since float is similar to kinds of financing viz. Debt & Equity, does this mean that floats will be less attractive in times of low interest rates as is the case in the U.S. right now. Because then we can avail of debt or equity cheaply. Those are good questions Mukesh. To answer the first question, let’s put ourselves in the shoes of three people. For potential members of NSE it’s a “take it or leave it” situation.” They must either accept NSE’s terms of membership and give this interest-free deposit, but if they don’t accept those terms, they can forget about becoming a member. NSE’s ability to give this “take it or leave it” ultimatum arises out of the “market power” it commands, which is derived from its moat. Now assume that MCX – a competing exchange, which was recently allowed by SEBI to start equity and derivative trading, offers better terms to its members and in order to prevent desertion of members, NSE starts offering interest on the deposits. Why would NSE do this? Obviously, it would it do it as a protective measure because its moat is getting eroded – and it is losing market power, and accordingly, its ability to deliver “take it or leave it” ultimatums. The same logic applies to interest free deposits taken by strong FMCG companies from their distributors. These distributors are happy to give these deposits because it gives them exclusive distribution rights over a region. How much would you pay Nestle as an interest-free deposit to get a right to exclusively distribute maggie noodles in Punjab? You will pay a large sum because the money you earn from the distributorship will be large enough to offset the interest forgone. But if health concerns or competitive threats made consumers move away from maggie noodles to home made wheat based soba noodles (as I have btw), then Nestle’s maggie moat will be threatened and its ability to take, large interest-free deposits will be impaired. It may even have to pay interest on those deposits. Now, let’s shift focus to the second guy – who is a vendor to a rice trading company, which is a competitive business having no moat. This vendor offers his produce to the rice trader on credit, because the rice trading business works on credit. Now, simply because the rice trading business works on credit, and in addition, no explicit interest is being charged by the vendor from the rice trader, it does not mean that the float from trade credit for the rice trader is free. There is an element of implicit interest cost here. The credit obtained from the vendor by the rice trader comes at a cost, even though you won’t see that cost on its P&L. That’s because the vendor offers two choices to the rice trader: (1) Either pay me upfront and I will charge a lower price for the rice; or (2) pay me later, and I will charge full price. The vendor has taken choice 2 and had obtained a float, but one with a cost. The cost of the float is implicit interest as derived from the difference between the prices charged under the two options. If this was not the case of a rice trader, but that of Wal-Mart, then Wal-Mart would use its market power to obtain float from vendors in the form of trade credit with no cost. It would tell its vendors: “We will buy large quantities from you, but we will pay you later than other buyers will. But if you want an earlier payment, be prepared for a hefty price cut. Take it or leave it.” Most vendors take it because the margin they make on the business of selling to Wal-mart is so low that it does not allow them to take another price cut to get paid early and still make money. And Wal-Mart knows this, and uses this information for the benefit of its customers and stockholders in the form of low prices and a free or very cheap float. So, it all depends on market power. The more the power you have, the more the ability to deliver “take it or leave it” ultimatums to vendors. The same logic can be applied in the case of advance from customers. If you were a customer of a company which made something special that you want and that you can’t get from anyone else, you may have to pay an interest-free advance – one which has no implicit interest element because the company isn’t offering the two choices of paying now and getting a lower price, or paying later and getting a higher price. If you really want its product, you have to pay upfront and earn no interest on advance payment- explicit or implicit. But if the company from whom you were buying, operated in a competitive market, then most likely you will have those choices and if you had paid an advance, you would have earned implicit interest. In the end, as I mentioned in my post, it boils down to the power you command over your vendors and your customers which will determine the cost of the float. This power, moreover can weaken or strengthen over time. Just like moats weaken or strengthen over time, so do floats. Indeed, my thesis is that to track the power of a moat, one should measure the quality and the quantum of its float. If floats are deteriorating over time, its a sign of an eroding moat. So you get a quantitative criteria to evaluate the changes in the fundamentals of a company over time. Which is awesome. Just take a look at NBCC. In FY2002 the company had huge debt, and an interest cover of 1.5, huge receivables and positive working capital. Now, the company has zero debt, and a hugely negative working capital, thanks to its very large advances from customers. So, something happened to the quality of NBCC over this time and it’s worth looking into, and thinking about how long will this last. As for your second question: The higher the interest rates in the economy, the more valuable free floats become as sources of unencumbered value for stockholders. Thanks Sir , Kaveri seed is not having that much attractive float as I thought . Company is having seasonal business and it generates 80 % business in APR-JUN quarter so if company change financial year starting from July (similar to Symphony) then inventories will be far less , but same time advances from customer will be also far less than current figures. Exceptional delight to read this post, wonderful clarity! I then read your post “when a dollar is not a dollar”, which left me wondering if one shouldn’t account for non-surplus cash when comparing float with operating assets? Thanks a lot for sharing your insights. Sir – Just wanted to get your feedback on National Building Construction Corporation. Here is a company which looks quite undervalued and ticks many of your boxes (cash bargain, debt capacity bargain). 1. Looks like the company has a sustainable moat based on the objective criteria mentioned by you. 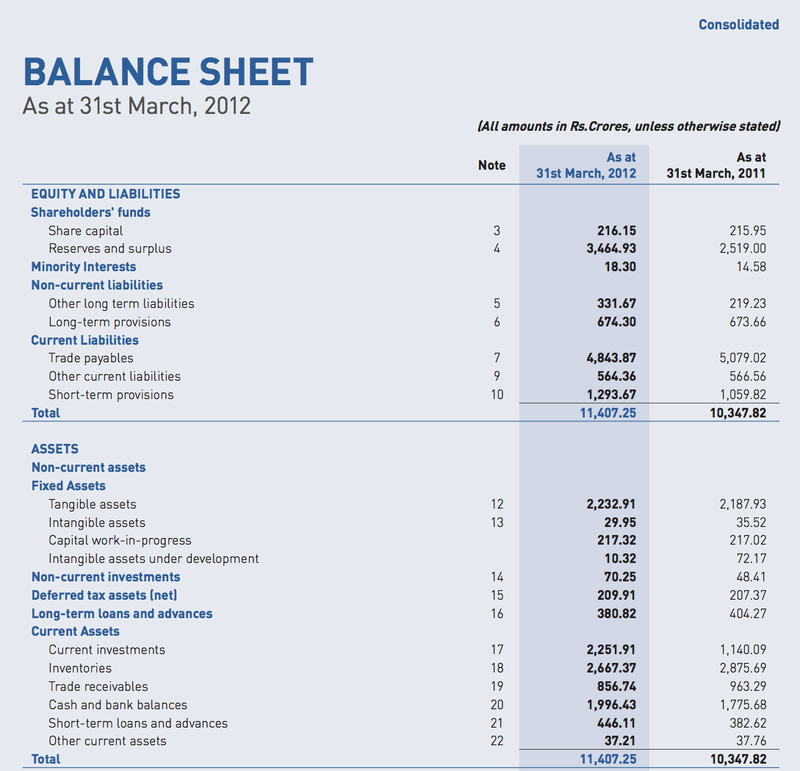 Total assets – 3,635 cr. Although cash flows are only available for the last two years, looks like it is a debt capacity bargain as net profit seems like a good proxy for the CFO in this case. The capex is almost negligible. Why is this company with a moat quoting at such low valuations. Am i missing something here ? Sir – Actually i did take a look at the contingent liabilities. I might be wrong but this is how I worked out the nos. Then there is a contingent liab. for 382 cr. which is for “Bank Guarantees for performance, EMD and Security Deposit.” I figured bank guarantees would be issued by the company (since it in in construction consulting) in the normal course of business. So i did not include these in my calculations. The company has been debt free since 2008. 2007, 08 and 09 were very good years for the company like many others with net profit margins of 5.3%, 13.8% and 7.8% and ROE of 53%, 83% and 35% respectively. Profit margins and returns have since moderated to 3.8%, 4.3% and 5.3% in 2010, 11 and 12 respectively. ROEs – 21%, 21% and 24%. Assuming the company has to pay out 80% of the contingent liab of 1005 cr. and doesnt get any counter claim. 2. Land bank of 125 acre. Real estate which doesnt contribute much to the topline right now can be a growth driver in the future. Those are very good points Kashif. And obviously, if the contingent liabilities do not become real (and assuming that there are no more cockroaches in the kitchen), the stock is statistically cheap and I’d okay it for a small position in a portfolio of statistical bargains. But to build a larger position, one has to have deep conviction about the moat this company has. It’s clear that the moat is not because of any intellectual property or execution skills (projects are outsourced). The moat comes from connections, or rather preferred treatment given by govt in awarding contracts. In just a few years the company has gone from being highly leveraged to debt-free with huge float. How sustainable is it? It’s hard for me to predict that. But I have a friend who is very optimistic about this stock. You can connect with him on pratik.gandhi@patsoninternational.in to compare notes. He has met the management, and owns a position in the stock. He agrees with your thoughts on the real estate angle… Connect with him. Thanks for your valuable feedback sir, much appreciated. Would get in touch with Pratik. Totally agree with you about the sustainability of the moat of the company. But as Graham has said, price changes everything, and at a low enough price even a mediocre business becomes a good investment. Was trying to figure out that price in this case. More than a decade ago, NBCC had a different character but isn’t a decade long enough for a company’s character and business model to change. For at least last 10 years data that I looked at — NBCC had Float in excess of operating assets – every single year. Float to operating assets ratio has ranged between 1.12 and 1.57 over FY03-FY12 with average of 1.39. If NBCC has sustained Float greater than Operating Assets for so long, it is highly likely that this is sustainable. Though, an understanding of what will sustain this is required by investors and that will come from an understanding of the business. ROE and ROCE have been 25% plus in all these years. Float represented by Sundry credits, Deposits, and Advance from clients included in Current Liabilities was Rs 89 cr. Equity: – Rs 18 cr. Float represented by Sundry credits, Deposits, and Advance from clients included in Current Liabilities was Rs 349 cr. Clearly the company, even with negative equity was living on other people’s money. Float represented by Sundry credits, Deposits, and Advance from clients included in Current Liabilities was Rs 341 cr. So that’s what Arup Roy Choudhary inherited. Float represented by Sundry credits, Deposits, and Advance from clients included in Current Liabilities was Rs 2,193 cr. The next two years were also good, even after Arup Roy Choudhary’s departure. The company turned around under the helm of Mr. Choudhary. His departure has not yet hurt the company. It seems Mr. Choudhury worked very hard in getting contracts on favorable terms for NBCC and he succeeded – he has written extensively about how he turned around the company in the annual reports. And therein lies the problem. In such companies quality of management has to be excellent. If future management teams are as good, NBCC has an excellent future and the stock is cheap. But if management falters in getting contracts for the company, then it could go back to bad old days of 1989. No? My point is simple: NBCC’s moat comes from govt contracts with an influential CMD who can get them in the first place. It does not come from any sources independent of management. If we remove the high-quality management and replace it with mediocre management, how sure are we that the company will continue to prosper? Couple of points re: Nesco. 1) Floats need to be sustainable. And should allow the business to make a cash profit. Sometimes the whole competitive adv seems disappear overnight. Case in point – Nesco made a cash flow from ops of 41 Lacs for 08-09. Which was a fraction of what it made the previous years. One factor for low cash flow from ops was the trade receivables shot up. Needless to say HUL cash flow from ops was sustainable during the same period. 2) Wise men sayeth – never invest in over capacity. You just have to go past the nesco it bldg 3 at night. Its an epitome of overcapacity and darkness. From the annual report of 08-09 “This building is expected to be completed around April 2010”. About two and a half years later – it still seems like no is using the space. And in the vicinity there are more commercial development well under way. May be 2-3 million sqft which will hit the market in a couple of years. I dont think it is totally far fetched to imagine that at some point the landlords will have give back the interest accrued on the deposits back to the tenants. I know that you have(or used to have) a position in Nesco. Confirmation bias? Nesco suffered in FY09 because of November 2008 terrorist attacks in Mumbai, resulting in cancellation of many exhibitions. FY 09: Rs 40.08 cr. The company’s treasury has also increased over the years. At the end of FY09, investments parked in mutual funds (net of debt) were Rs 94 cr. By the end of FY12 this figure had soared to Rs 210 cr. This increase in cash occurred despite (1) the capex spent on IT Building III (since no debt was taken); and (2) the horrible environment in which real estate sector has been. Also, despite the fact that Nesco stock is one of the best performing real estate stocks in India over the last 4 years, it cannot be compared with businesses like HUL. Good point. Yes, FY09 was the perfect stress test for Nesco. Mumbai attacks + The great recession. And unlikely to repeat. But, it does show how the demand for exhibition is fungible. And, as you rightly pointed out, this is no HUL. Playing devils advocate here. About the treasury being what it is – it can be argued that the float is not being used very efficiently. What follows is probably less to do with floats and more to do with my concerns regarding nesco. Nesco will generate above normal return on capital invested because of the under utilised land bank. However the re-investement rate and therefore utilisation rate of its land is likely to remain low for a really long time because of excess supply of commercial real estate in the vicinity. Nesco’s management has been very conservative. That’s something I have really admired. But, they have extended the same conservatism to dividends. As they say in corporate finance, the bladder is getting bigger. I agree with you on dividend policy. Nesco should pay a MUCH larger dividend. In fact, it can carry modest amounts of debt to save some taxes too. It’s a great case for bonus debentures in my view where without laying out significant cash, the company can have a more tax-efficient capital structure, and deliver to stockholders an instrument with an independent and high market value, plus a stock which sells at a smaller discount (if any) to resulting fully diluted intrinsic value. As you to another point in your earlier comment where you wrote “Wise men sayeth – never invest in over capacity,” I don’t agree with that. Why wouldn’t you invest in over capacity, if it’s free and if when it becomes utilised will result in large incremental earnings? Why would you not want to own an under-utilised gas pipeline or under-utilized road where current earning power itself more than explains the market value of those assets? Sure. Rules of thumb will have exceptions. However, talking specifics, as you have implied and I agree, Nesco is fairly valued as per the current earnings. However, given overcapacity, it might not be able to grow its earnings/profit in the next few years. I am guessing about 3-5 years. And given the run up of price, I do not view this as “cheap” anymore. Not to come across as a trader(I have held on to this for about 4 years now). But, I think its time to move on. Time to save up for later. And thank you for your thoughts! Its great fun reading your posts! 1) Prospective Clients / Customers for IT Parks is narrowed down to IT companies / Divisions of IT companies doing domestic business because IT companies doing international business have the option of both IT Park as well as IT SEZ’s for their new businesses. SEZ’s offer (a) lesser corporate taxes (MAT) and (b) duty benefits on the office infra. All other things being equal, lease rentals in SEZ are higher compared to IT Parks. Secondly, the government may propose changes in the SEZ policy to make it more attractive. One of the points being reduction of the minimum size of sector specific SEZ to 10 acres from existing 25 acres. This may make NSECO explore the option of SEZ, if they have not already done it. Then both alternatives of IT Park and IT SEZ can be offered to the prospective customers. 2) Large IT companies block space but occupy it in a phased manner extending upto more than a year with deferred rentals as per the commencement of the occupation. Professor- fantastic series of posts. Just wondering, do you have a copy of the 1964 American Express annual report that you could re-post? The earlier link is dead. Thank you for sharing your insights. Excellent Post. But will HUL be able to continue with the float in future especially as (a) sub-contractors/vendors have more options to supply to (ITC, P&G etc..) leading to lower creditor days and (b) higher receivables as and when big scale organised retailers start to form higher portion and are in position to demand credit? now even IRCTC also having the float. It already has float where customer books ticket well in advance (2months), but with e-wallet – it has increased it’s float. Thank you so much for your wonderful posts on float. Is it possible to share your thoughts on how to value float then? You explain clearly that when a float is sustainable and at a low cost, it should not be a liability as big as shown on the balance sheet. But how would you estimate the true liability? For a company like Berkshire, given the fact that their float has been nicely growing for many years and with underwriting profits, does that mean the liability should be valued at zero? But there will always be a chance that the float has to come down for a few years or the float starting to incur some cost, how should we factor in such difficult to estimate factors into the valuation of the float?